There are still plenty of surprises awaiting us in the Moon Lake area. On September 7, 2007 a friend and I visited Moon Lake and this is what he showed me. 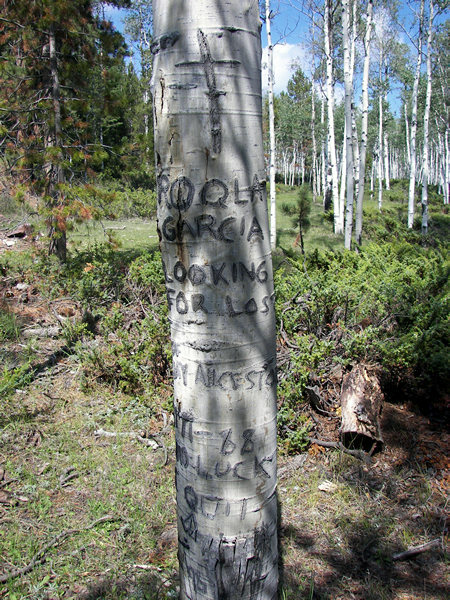 The message on this tree reads: Roola Garcia, Looking for lost mine of my ancestors, 1971-88, no luck, I quit. This begs the question to be answered...Are they still looking for their mines? to have been created in the 1700's and 1800's. back to the Intermountain West to check on the mines their ancestors worked? And as they do they leave symbols and writing which reflects their visits. to the late 1800's and 1900's because that is when they were here. This is the second time this year I have uncovered evidence that points in this direction. Only time will tell if my theory is 100% accurate. A short distance to the north of the tree pictured above is this tree with a much older scar. 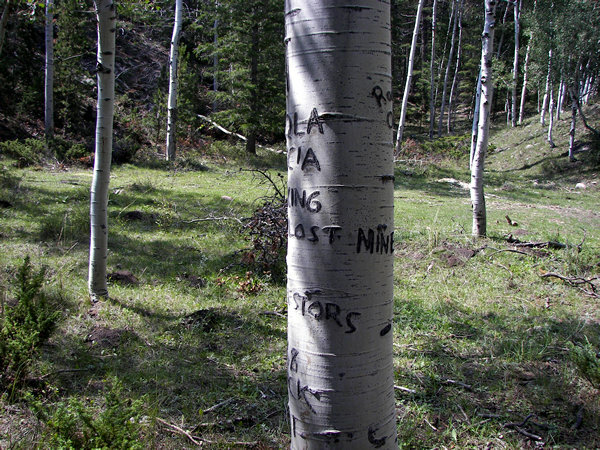 It says: Los Plata Mina or The Silver Mine. Update: I checked on this tree in July 2011 and only the stump is in place. 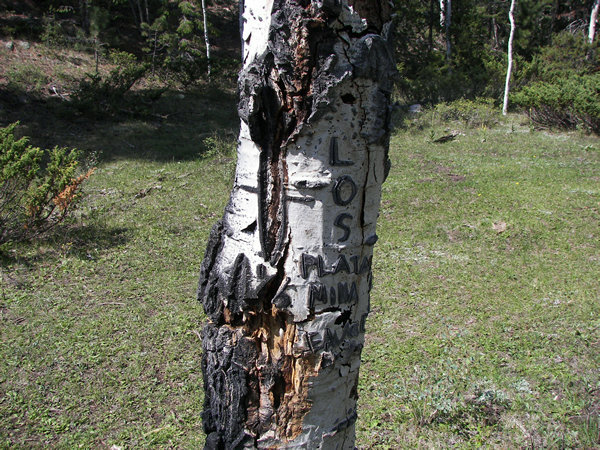 Notice in the picture that the tree is dead and that was in 2007. It's one more example of dwindling signs and symbols. 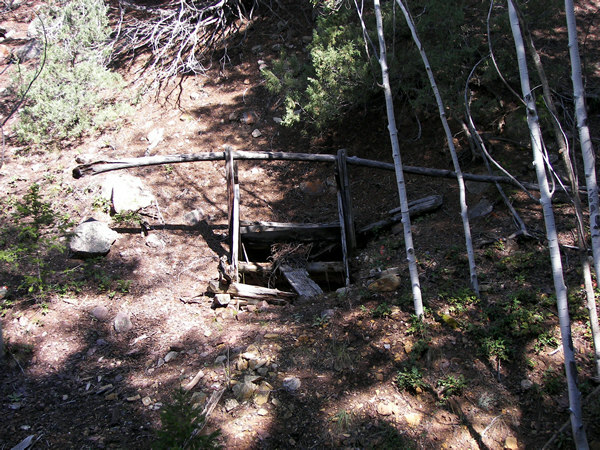 These pictures are of a mine across the canyon and up a draw from the last picture. My friend who showed me this mine said he has known about it for a long time. He says it has changed very little since he found it about 40 years ago. 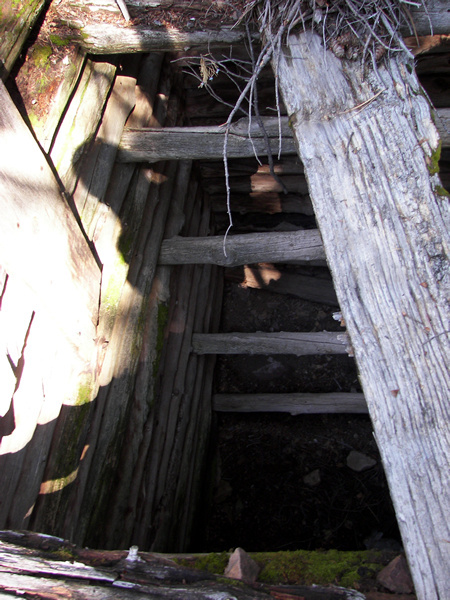 It's a vertical shaft about 15 feet deep. At the bottom it looks like they started to tunnel east. I can't help but wonder what they were looking for. However the desire wasn't strong enough for me to climb down and see. We know it's at least 40 years old and it could be much older and unstable.